Over the last several months, most of the changes to the Play Store have been on the smaller side, usually part of A/B tests to determine if individual tweaks to the interface would work better than others. An update began rolling out to users yesterday, bringing the current version up to 7.4. No significant changes seem to be turning up yet, but there are bits and pieces that hint at future plans. In this teardown, we'll be looking at a new version of the My Apps screen, statistics about reviews over recent history, remote authorization for family purchases, and even a strange requirement to install the Play Games app before taking some actions. 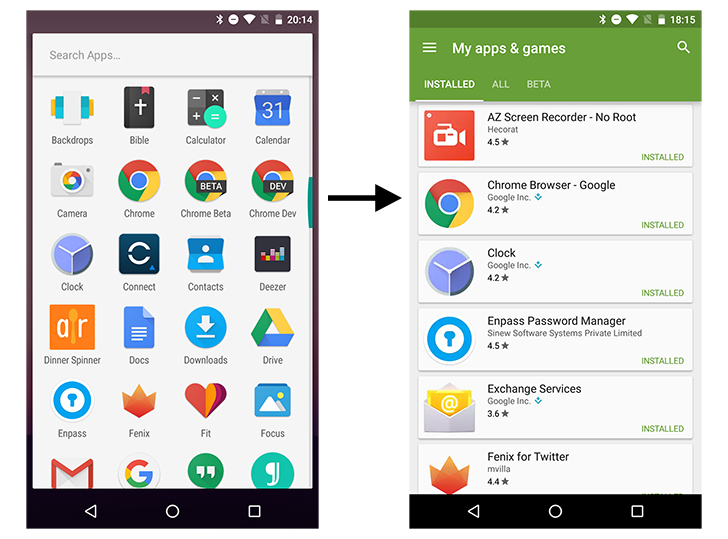 Both Chrome Beta and Chrome Dev do not appear under My Apps in the Play Store on devices running Nougat. Even when they're installed on your device, you won't see them in the Installed list, which means that they won't detect updates and download and install them automatically when all of your apps do.